Our Wound & Hyperbaric Center is located on the main campus of Fulton County Health Center in Suite G-03 of the FCHC North Medical Office Building. The Medical Office Building is attached to the main hospital. Parking is just outside the building. To contact us, call 419-337-7832. Our fax number is 419-337-7833. Our Lab and Radiology departments located on our main campus offers state-of the-art diagnostic services to assist in diagnosis and management of wounds. Our Diabetes Education Program offers comprehensive educational services to help gain control of your diabetes and enhance your current health condition and wound healing. Our registered dietitians provide personalized nutrition education for people living with chronic illnesses and/or those who want to improve their health by eating better. Through our endoscopy department, we also offer a pain management clinic to both acute (short-term) pain resulting from an injury, illness, or surgery, as well as chronic (constant) pain that interferes with daily living. Our lymphedema clinic is located in the Rainbow Hematology/Oncology Center. Physical Therapy Staff there have completed advanced training to treat abnormal swelling caused by the buildup of lymph fluid, usually in the arms and legs. The FCHC Rehab Center offers physical, occupational, aquatics and speech therapy for those needing rehabilitation care. 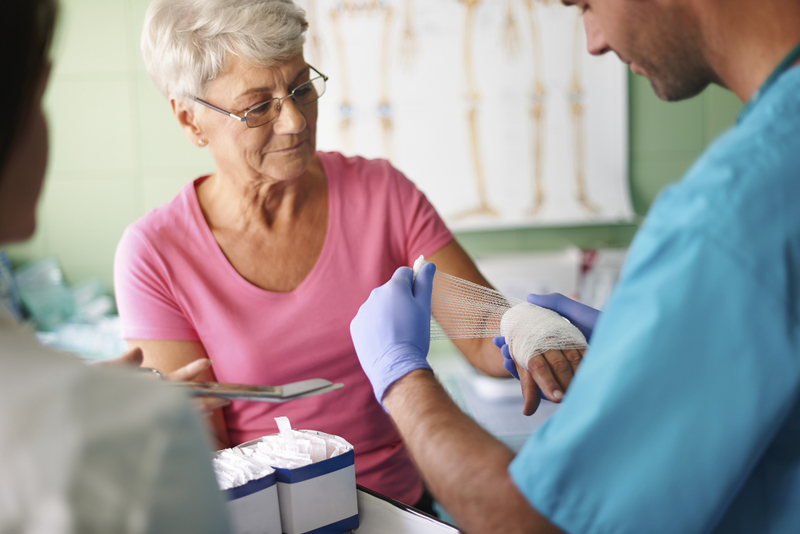 Our wound care professionals will work with you and your referring physician to coordinate care and develop the best course of treatment for you. When you are referred to the FCHC Wound & Hyperbaric Center, we do a comprehensive physical examination and review of your medical history. Diagnostic tests, such as X-rays, blood tests, and vascular studies, may be ordered as part of your personalized treatment plan. Each plan of treatment is individualized to a person’s specific needs. Nearly 10 million Americans are affected by challenging wounds resulting from a number of factors, including diabetes, poor circulation, trauma, vein disease, surgical incisions, and immobility. If you or someone you know is experiencing any type of wound, the experts at the FCHC Wound Care & Hyperbaric Center offer advanced healing therapies. Our comprehensive approach is designed to speed the healing process, allowing our patients to resume a normal lifestyle and regain their quality of life as quickly as possible. Our expert treatment team at the FCHC Wound Care and Hyperbaric Center includes board-certified specialists, a team of highly trained nurses and ancillary staff, nutritionists, lymphedema therapists, and orthotists. We employ a multi-disciplinary and patient-centered approach to treat hard-to-heal wounds. 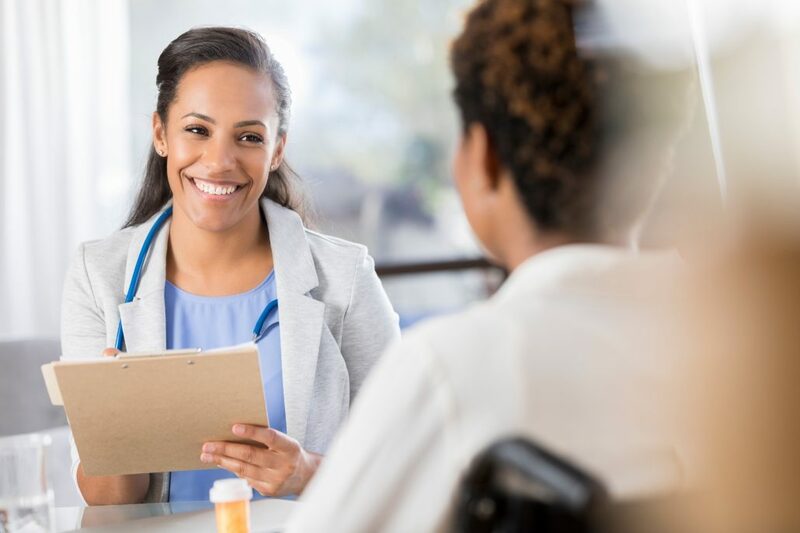 The first appointment consists of a customized, in-depth assessment by the wound care team, a review of your medical history, blood tests or additional tests if needed, and recommendations for your treatment plan. Please bring your medical records, insurance card, a list of all medications you are taking, and a list of allergies you may have to the first appointment. Expect to spend at least an hour at the center. Who will I see when I visit the Wound Care Center? Our nurses and medical assistants will check you in to see the doctor. 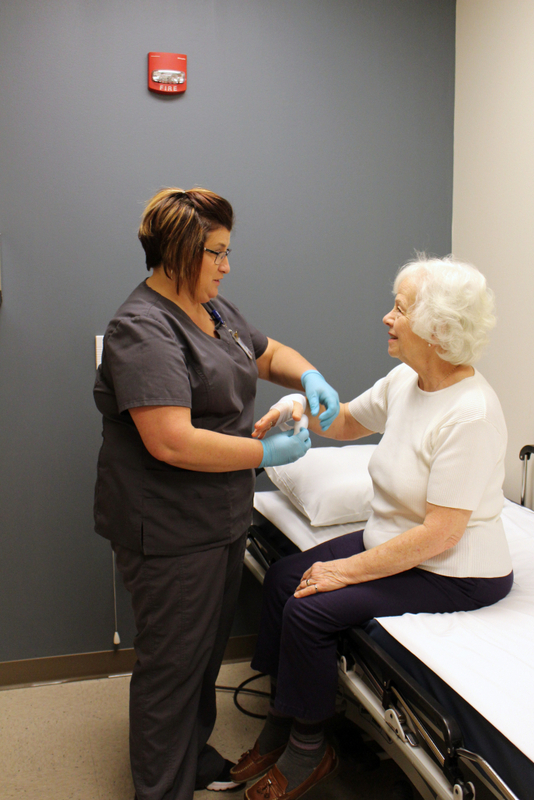 On the first visit, you will see a physician or a Nurse Practitioner who is highly trained in wound management. For your following visits, you will see either a physician or a nurse practitioner. Our staff are all highly trained in wound care and many are certified wound specialists. How long will it take my wound to heal? There is no definite answer for how long it will take a wound to heal. You need to be aware that certain diseases—diabetes, venous or arterial deficiencies, or other medical conditions—may make healing time slower. We will always do our best to promote proper wound healing. It is also important that you maintain your wound healing process at home and follow the instructions we give you so that your wound will heal successfully (and promptly!). What does a typical office visit consist of/look like? When you first come in, our nurses and medical assistants take you into a room, help clean your wound, and prepare you to see your provider. They will take a picture of you for the computer system and a picture of the wound each time you visit to see how well you are progressing. The doctor or nurse practitioner then comes in to assess the wound and will debride it if necessary. When he or she is finished, the nurses and/or medical assistants will come in to dress your wound and set you up with the appropriate supplies to dress your wound at home. Will my wound be able to be healed? Your wound will most likely be able to heal, but you must consider other factors that may contribute to the existence of the wound. We provide vascular studies to check the oxygen flow to your lower extremities, venous testing to diagnose any problems in the veins of the lower extremities, and cultures to identify any bacteria present on the wound bed if needed. We also may obtain laboratory studies to help us assess factors that contribute to slow wound healing, such as elevated blood glucose or low protein levels in your blood. These tests help us diagnose any problems keeping the wound from healing. What types of treatments will the Wound Care Center use to heal my wound? Debridement (cleaning/removal of dead tissue that is on the wound) is a common treatment that is provided. We also use topical treatments that help kill and control the bacteria that build up on the wound. The wide variety of dressings we use will also help the wound heal. We work closely with orthotists to help fit you for any offloading shoewear that you may need, nutritionists to help assess your diet, durable medical supply companies to help you get the supplies you need, and we have on-site vascular surgeons and general surgeons. What is the atmosphere like at the Wound Care Center? The atmosphere of the FCHC Wound and Hyperbaric Center is very comforting. We care deeply about your concerns, fears, and health. We want to reassure you that you are in the right place to get the best care possible for your wound. Why should I choose the Wound Care Center over similar facilities? You should choose the FCHC Wound and Hyperbaric Center because our heart is truly in treating your wound as best as possible. We strongly believe that if we can treat your wound as best as we know how, you will eventually see improvement. We are very passionate about our patients. Our providers and staff are always looking for the best treatment for our patients by conducting various research projects. 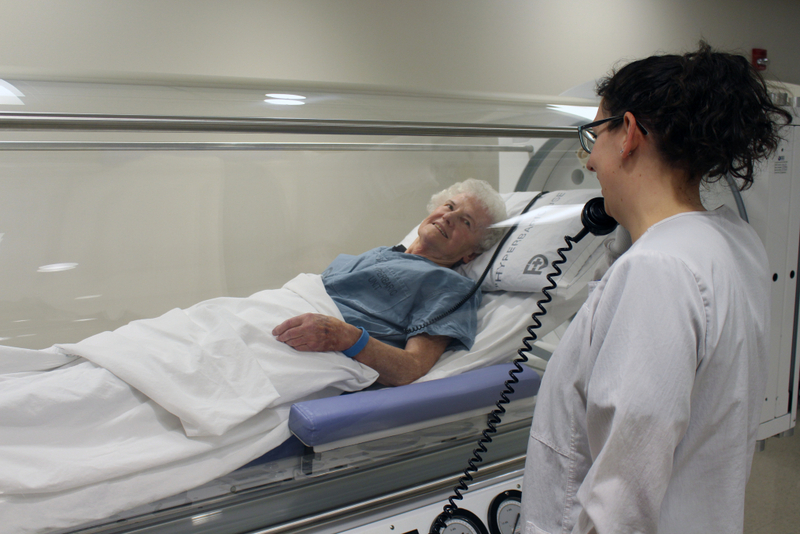 There is an enormous number of patients who are very pleased with the treatment they received at the FCHC Wound and Hyperbaric Center. Also, our approach to wound care is unique–we offer multi-disciplinary care on site and believe fully in treating you as a whole person.